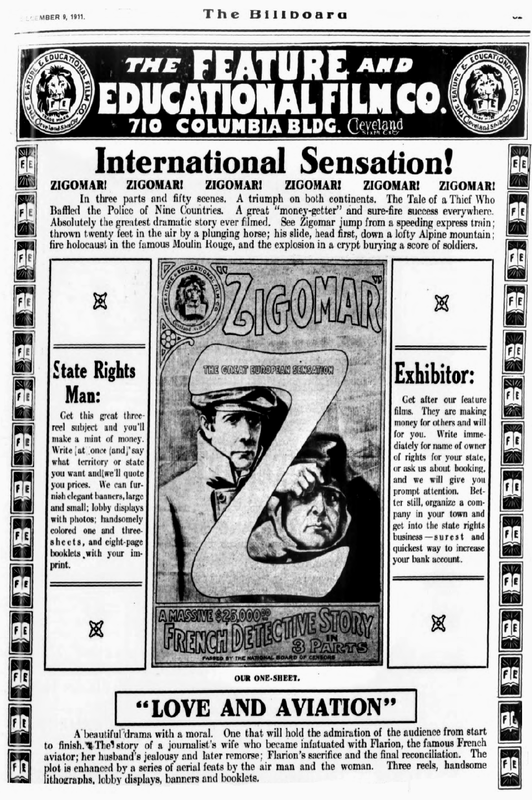 “Zigomar, The Great European Sensation. 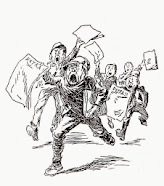 ZIGOMAR, who made his debut in a feuilleton or serial running in the Paris daily newspaper Le Matin from 7 December 1909 to 22 June 1910, was the creation of Léon Sazie (1862-1939). 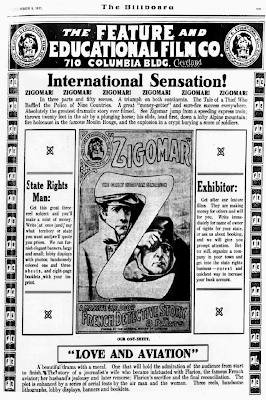 Zigomar was an amoral murderous criminal mastermind in the mould of Rocambole. 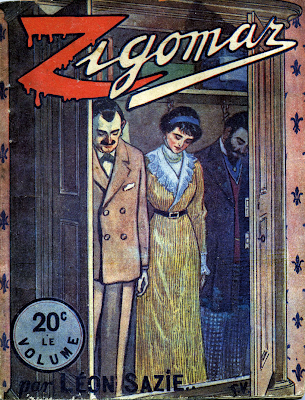 Zigomar’s success inspired the Fantômas serials of Pierre Souvestre (1874-1914) and his assistant Marcel Allain (1885-1969). 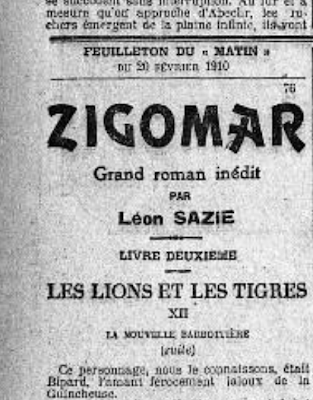 The Zigomar covers with the flaming red ‘Z’ may have been the inspiration for Johnston McCulley’s Zorro of 1919. 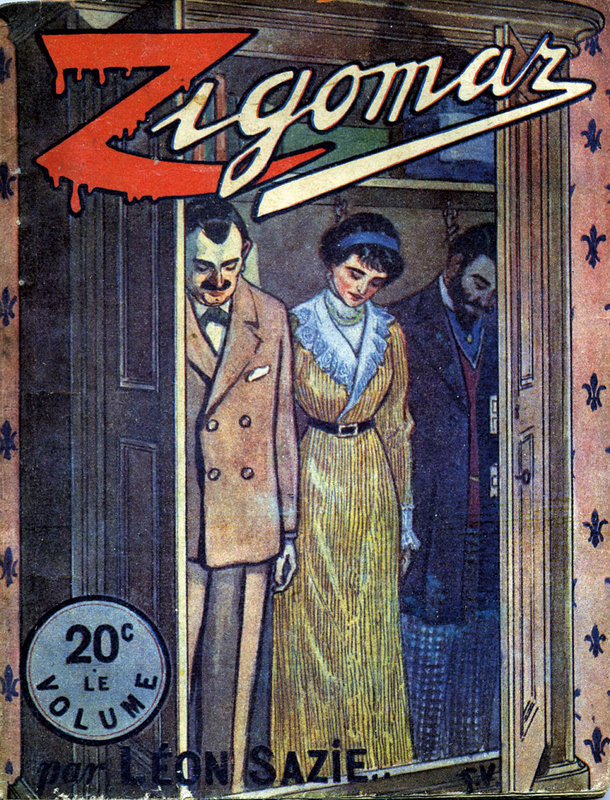 Victorin-Hippolyte Jassett was in the business of directing 3- and 4-reel films based on dime novels and sensational newspaper serials for the Parisian based Eclair Company. 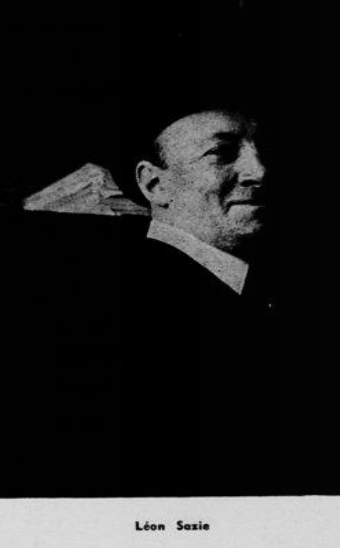 He directed the Riffle Bill (1908) Nick Carter (1908-1909) and Morgan le Pirate series (1909) before turning to Zigomar in 1910. 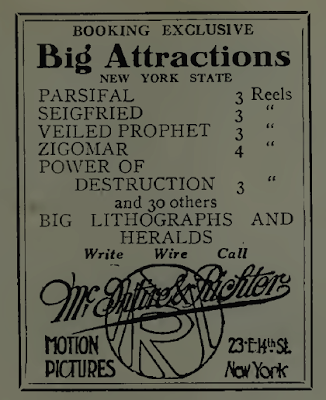 Universal held screen rights to Eclair productions in the United States. 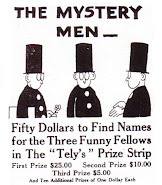 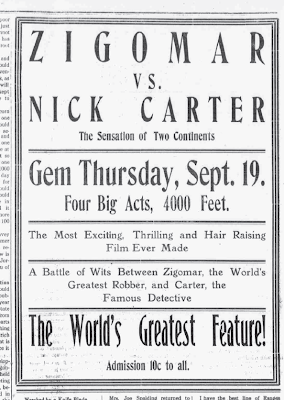 In 1912 Eclair produced Zigomar and Zigomar vs. Sherlock Holmes. 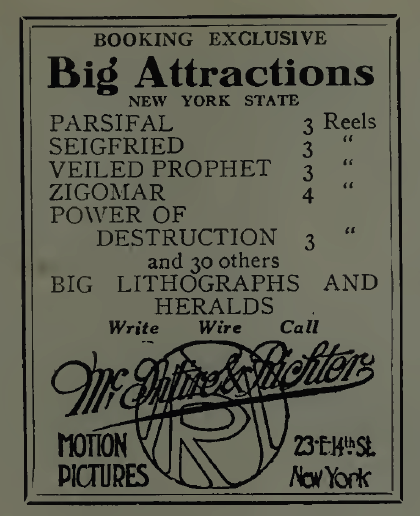 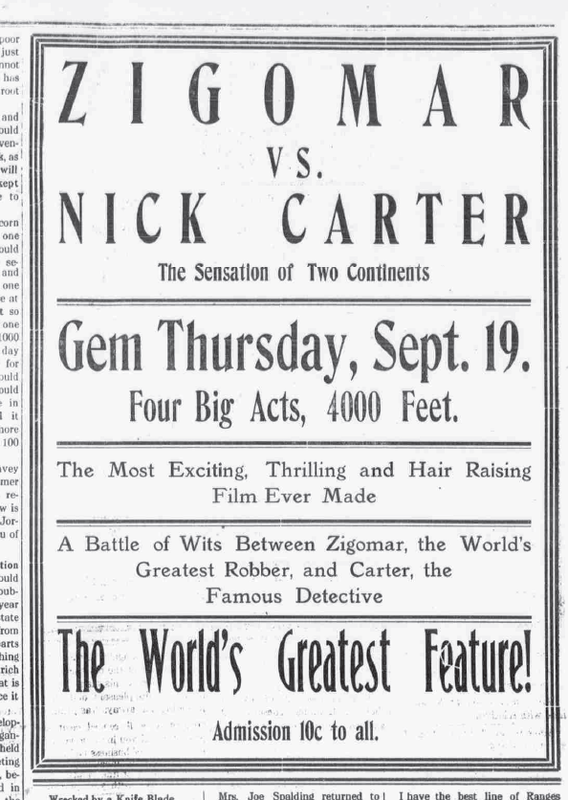 Zigomar returned in 1913 with Zigomar III, Zigomar vs. Nick Carter, and Zigomar the Phantom Bandit. 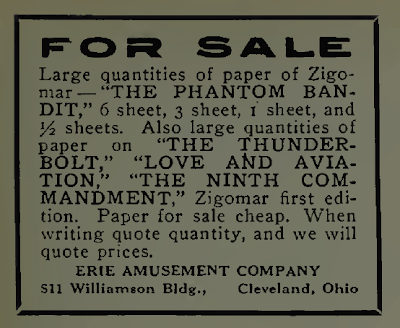 Thanks for the rundown on Zigomar. 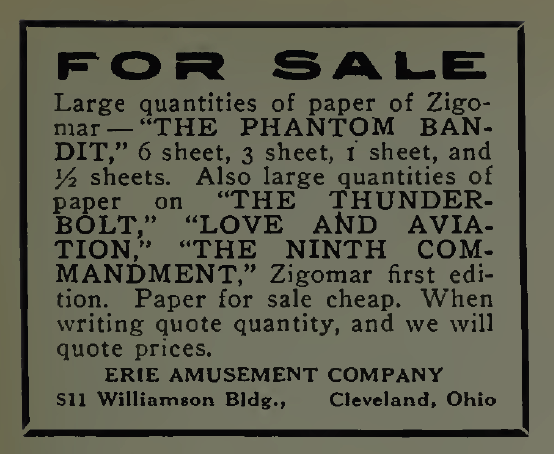 I encountered his name w/ reference to Fantomas and needed a good breakdown of his history in prose and film.